1) Easy installation and no driver required. 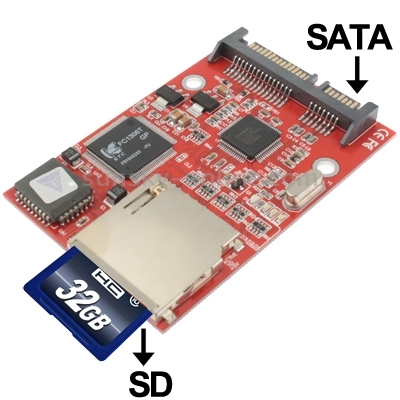 2) Enables IT engineers and embedded technology enthusiasts to use SD/MMC card as a normal SATA hard disk. 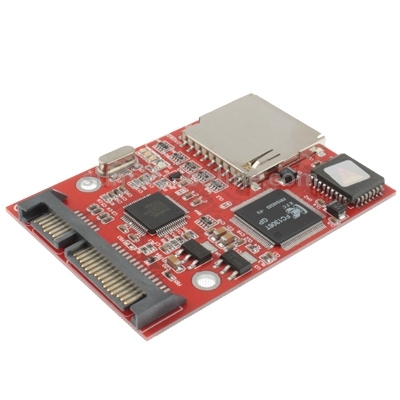 3) Provides an alternative for data storage and transfer or test for main-board, sound card, display card and memory card, etc. 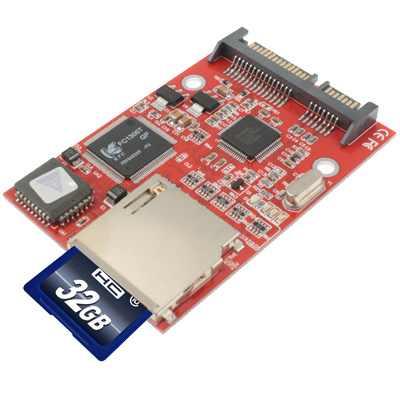 4) Ideal for some devices that required a fast and easy bootable device such as POS. 5) Be a SD/MMC card reader/writer. 6) One standard SD slot. 7) One 7+15 Pin SATA male connector. 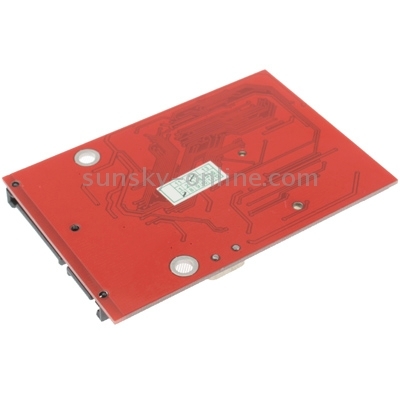 8) Compatible with SD Memory Card specification 1.1, MMC specification 2.0, SDHC Memory Card. 9) Support up to 16GB SD card. 10) Bootable, install OS and application on SD card. 11) Mini board design and no space wasted. 12) Compatible with DOS, Windows 98SE, Me, 2000, XP and Vista & Linux.